I wrote this piece for Richard's F1 in honour of International Women's Day... Enjoy! Formula 1 is not a sport typically associated with women. The world of motorsport seems to be one that continues to be dominated by men, and women’s alleged inferiority on the road seems to be so universally accepted that it pervades popular culture and is the subject of countless YouTube compilations. As we approach the beginning of the season and celebrate International Women’s Day, we have taken the liberty to highlight a few of the most powerful women to grace the grids/pits/design labs over the years, shattering stereotypes and busting balls, all in a day’s work. Spanish racer Carmen Jordá was just announced as Lotus F1’s new development driver; all eyes will be on this Spanish driver’s performance in 2015. Born in Alcoy, Spain, the daughter of former driver Jose Miguel Jordá has been a professional driver for over a decade and her presence doubles the number of female drivers in the paddock in 2015. On joining the team, she recognised the challenges: “I know this is just the beginning and the biggest challenge is yet to come but already being part of a team with such a history is a real honour. This is a great achievement, but an even greater opportunity which will lead to bigger and better things. “I’ve been racing since I was 10 years old so it was my dream to drive a Formula 1 car since I was very young,” she said to the Daily Mail. Having completed three GP3 seasons without taking home any points, it will be interesting to see how and if she progresses with Lotus. She took out 16th place in 2010 in the Firestone Indy Lights racing for Andersen Racing, and her highest ever final position was back in 2007 when she placed fourth in Spanish Formula 3. We wish her the best of luck with Lotus! Click here to READ ON at RICHARD'S F1! It wasn't supposed to be like this, was it. 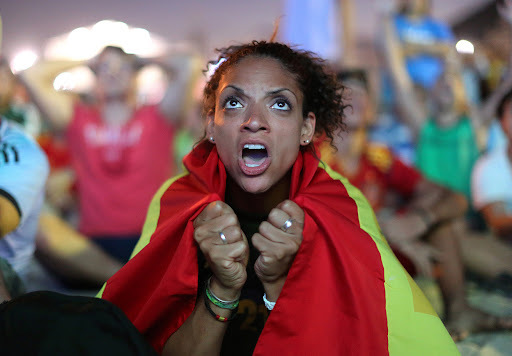 The World Cup has been a joy to watch this year, it really has. Games like Algeria versus South Korea, which on first glance didn't look like it would be a firecracker ended up in an amazing battle. Seven goals conceded? One goal in the final minute to Brazil? It was an actual mauling. A massacre on the pitch, a bloodletting. The Germans, in their standard form, showed no mercy. Klose cemented his place in history as the greatest world cup goal scorer. The Brazilians faced the most painful few minutes when 4 goals were scored in less than 7 minutes. How does a team come back from this? The last Brazilian team to lose on this scale (to Uruguay in 1950) said they were treated like they committed the worst kind of crime. My mornings have been drenched with the muted cheers of stadiums and my own shrieks at near misses or triumphs. Football (spectating) is something that is in my blood, along with millions of others around the world, and this month provides the ultimate in that pleasure. BOUNCE - This is not a freestyle movie from Guillaume Blanchet I Filmmaker on Vimeo. How do you go to the beach as a Hijabi anyway? In my tights, scarf and t-shirt with the sleeves long. What are you doing here, they seemed to ask: Do you mind? Yet, why did I care, for what? One of my best friends is from South Africa, and loves the beach. We always joke though that when her and I head into the ocean, we look like fresh tourists that would probably end up drowning on a TV show like 'Bondi Rescue'. Why? Well given our 'ethnic' appearance, the loud squeals when hit by a wave and the fact that we - or I at least - don't wear the usual Australian beach attire means we look a bit different to your average aussie surfie. Gotta love fitting into a stereotype right? As a teenager, the question I got asked the most by curious classmates was always along the same lines. "So how do you go to the beach if you're all covered up?" I would always make some answer up that seemed to make sense. "Oh, I find a way". Truth was, my family just never really went to the beach! Both my mother and I wore the hijab, the beach was a little far and I wasn't a huge fan of swimming anyway. It wasn't a sport we were ever going to be competitive in. When was the last time you saw a Sudanese Olympic Swimmer? Mashallah, no one can deny the beauty, the power, the draw of an ocean. So now, all grown up, what are the options? Where as in reality, I look more like someone who took a wrong turn and ended up drenched. Most of the time though, I wear a pair of long running tights, a large, voluminous top and a bandana like scarf that is often misinterpreted. It's hot, but you get used to it. It definitely doesn't blend in, but I tell myself people are staring because they think I have swag. I chose to cover up for reasons that meant something to me. Yes, going to the beach is an exercise in hilarity, but who said it was going to be easy all the time? I am super proud and honoured to be an Ambassador for the Asia Cup that is being held in Australia in 2015! Football (or soccer as we like to call it), is up there with my favourite sports of all time (F1 has a pretty strong hold, if I am being honest). So to be a part of getting the word out there about this competition is something I am really excited about! We've got one year to go and I'm getting pretty stoked for some awesome matches! It isn't Brazil, but it's going to be good inshallah nonetheless! Who is your proverbial money on? There was a cool event not too long ago celebrating 'one year to go'...check out a video here! 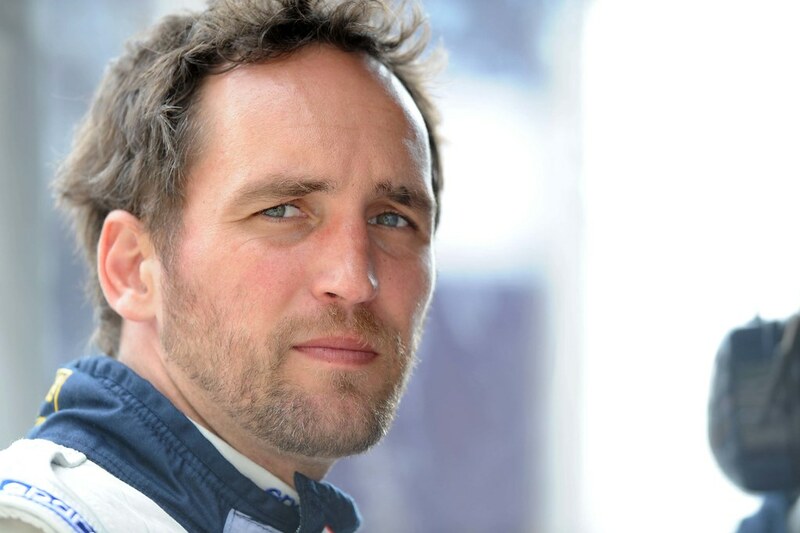 Kelly Racing has today confirmed the French former Formula One driver Franck Montagny as the third driver in their international line up for the Gold Coast 600. I am currently writing for Richard’s F1 as the V8 Correspondent and will post links to my articles here. 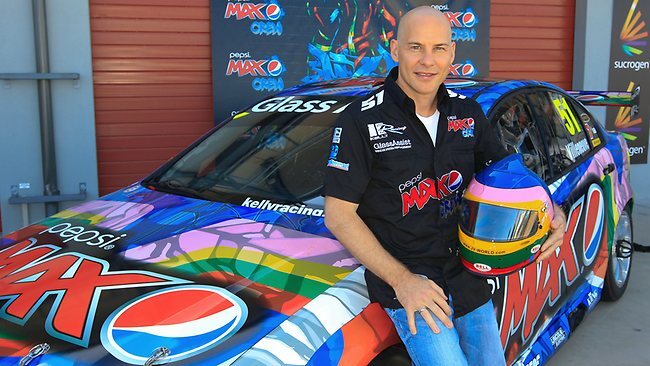 Great news for Canadian driver Jacques Villeneuve who has now been confirmed as a driver for the next two V8 Supercar rounds. For more, check out the article on Richard’s F1. This is my first post with Richard’s F1! Originally posted here. A pristine Can-Am McLaren M8E and a Chevron B16 made their Queensland debut among the hundreds of historic race cars at the National ‘Historic Queensland’ Race Meeting at Morgan Park Raceway in Warwick, Queensland this weekend. Held by the Historic Racing Car Club (HRCC) of Queensland, the “Historic Queensland” Motor Race meeting for 2012 brought together well over 200 entries for a weekend of exciting races and regularity trials. The event has run for over thirty years, attracting competitors from all over the country and providing an opportunity for motorsport enthusiasts to showcase their wares and shake off the winter blues with some good old fashioned racing. Historic cars are those from between roughly the 1920’s to the 1980’s. The classes at this event ranged from historic Formula Ford vehicles to production sports cars and everything historic in between. Star attractions at this year’s competition included the 1971 Can-Am McLaren M8E, the 1983 Chevron B16, 1957 Lotus Eleven and the 1977 Osella PA5; all beautiful pieces of machinery that didn’t fail to excite the enthusiastic crowds gathered on the windy Warwick grandstands. As with all the cars, the McLaren came with unique history; it finished 9th in the Can-Am series in 1971. With an aluminium 496 Chevy 780 Horsepower engine, one can understand how it easily outshone the competitors in its class! The Chevron B16, not to be outdone, won the Nurburgring 500km in 1969. The history and stories of each of the cars at the race meet made for an extremely interesting and enriching environment and the owners were more than happy to share their stories. Happy to share stories the owners and drivers may have been, but that didn’t mean they didn’t want to win races! Some very quick drivers made their way around the track, including young names such as Dylan Higgins, a 16 year old Formula Ford driver and young Jimmy Vernon, a 15 year old from New South Wales. Dylan had a fantastic weekend of wins and is definitely one to look out for. Other young drivers included the third year apprentice Ashley Heffernan, 17 year old Matt Campbell and mechanical engineering student Ash Willoughby in a 1977 Formula Ford. The young ones weren’t the only ones gunning for good drives; fierce overtaking and on-track action was seen throughout the weekend. In the Historic Sport Car’s group, the Tiga Sports 2000 met an unfortunate early end to its race weekend: fishtailing, spinning out and colliding with the barriers on the last lap. Fortunately the driver was fine, but unfortunately, the Tiga will definitely need some major TLC before it finds its way back on the track. Pleasantly though, the on-track drama was the only drama to be found. The event was a true joy to attend, not only because of the spectacle but also due to the sense of community; it truly felt like an event that was all about the cars. For the love of the sport indeed! Many drivers, owners and officials though expressed their desire to see more young people involved. Peter Mohr, the President of the HRCC encouraged young people to jump right in. So, why not? I look forward to attending the next HRCC event and learning more about the cars of yesteryear. I recommend you all check out the nearest HRCC event in your state and see if you can get involved as well! This – the sense of community, knowledge transfer and sharing, carburettors and self funded owner-drivers – this to me, epitomises the essence of motorsport. How about you? Have you been involved in your local HRCC? How do you feel about “Historics”? Joining the Richard’s F1 Team! I am excited to let you all know that I am now a writer with the fabulous motorsport blog, Richard’s F1! Check out my intro here…and I look forward to seeing you on the site! Yassmin will be taking over the reins of our already very popular V8 Supercars coverage from our journalist Geoff Burke, who will be freed up to assist in more Formula 1 feature article writing. Additionally, Yassmin will also contribute a host of feature and media review articles forRichardsF1.com, which she will be looking to share with our many readers worldwide.